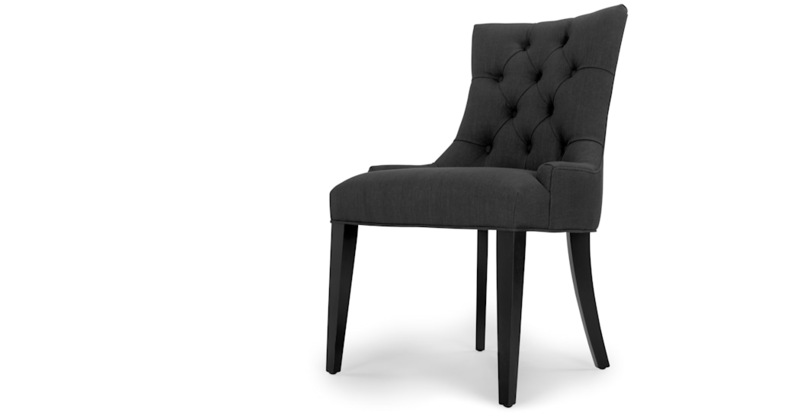 Add striking elegance to your dining room, living room or bedroom with this scoop back chair. With timeless lines for an effortless look. Button detailing on the back adds texture to the design, while wooden legs lend a classic edge. Mix and match for extra impact. With a wood frame and solid birch legs, plus a scoop back and foam cushioning for long-lasting comfort and support. In soft, tactile fabric.